Here's another thing that fascinates me - mythological figures who have disappeared in the recent past. 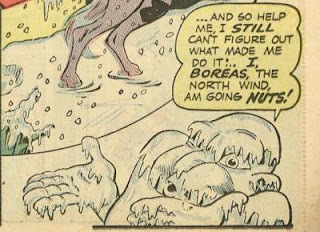 I've seen a version of this guy show up a few times now reading fiction from the early-to-mid 20th century, but growing up, the idea of a personification of the North Wind never made an appearance. Netflix has been stealing from you. What the hell, internet ad?